Few motorcyclists haven’t heard of Sturgis, South Dakota, even if they can’t necessarily find it on a map. And most know that it’s home to the biggest motorcycle rally in the country every year. Sturgis is bigger than Daytona, bigger than Laughlin, bigger than Laconia, bigger than Myrtle Beach. Without looking it up, I’m guessing that’s it’s bigger than all of them all combined. The week-long event draws riders (and trailor-ers) from all over the country: San Diego, Riverside, San Francisco, and the rest of California, Chicago and the Midwest, Pennsylvania and the entire east coast. Each year, more than half a million bikers ride (or trailer) their bikes to the event. It’s reported that every state in the US is represented at the rally, one way or another. What most of you probably don’t know is that the famous South Dakota town that blows up every August isn’t the only Sturgis in the U.S. There’s a little town in Kentucky that bears the same name. That’s right, Sturgis, Kentucky. Population: just over 2,000. And that little town has a motorcycle rally, too. Or at least, it used to. Capitalizing on the shared names of the towns, Sturgis, KY has held its own “Little Sturgis” rally every year since 1993. With only 2,000 in attendance the first year, the event has grown to almost ten times that. Until now. This year’s been cancelled. Why? Because “Big” Sturgis would have none of it. They sued in federal court, seeking an injunction against the town and its rally. They won. Last week, a federal judge ruled that Sturgis, Kentucky is “immediately [and] permanently . . . restrained” from using any reference to the Sturgis rally when it promotes its motorcycle rally, a nonprofit event that has been held in every July for the past fifteen years. The 2011 event has been canceled. The federal judge who issued the ruling – which included undisclosed monetary damages — is a judge from the US District of South Dakato. Go figure. 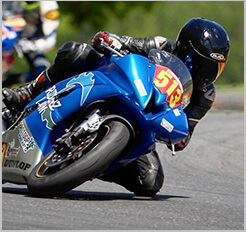 Granted, most of our California lawyers specialize in motorcycle accidents, and we pretty much deal with trademark issues only when they have to do with motorcycle clubs and their patches. But I have to ask, how is the name of a city trademarked? And more importantly, how is such a trademark good against a city with the same name (which, incidentally, was incorporated two years prior to Sturgis, SD)? Look, I’m all for protecting one’s trademark. And I support Sturgis maintaining it’s special place among bikers, and preventing others from exploiting something they’ve worked hard to build and maintain. But preventing another town from using i ts own name to bring in a little revenue in these harsh economic times? Come on. 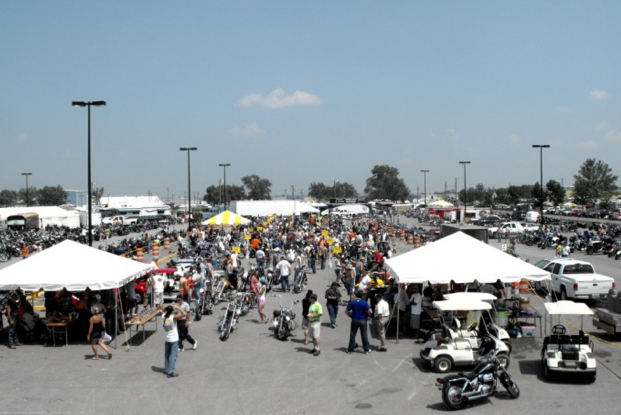 Does anyone really believe that a small Kentucky town is going to bring down (or even dent) the biggest and best motorcycle event in the world? If it would be that easy to steal motorcyclists from Sturgis, maybe it’s not as big and important as they think it is. But that’s just one biker’s opinion. No it’s not. I’m going this weekend.